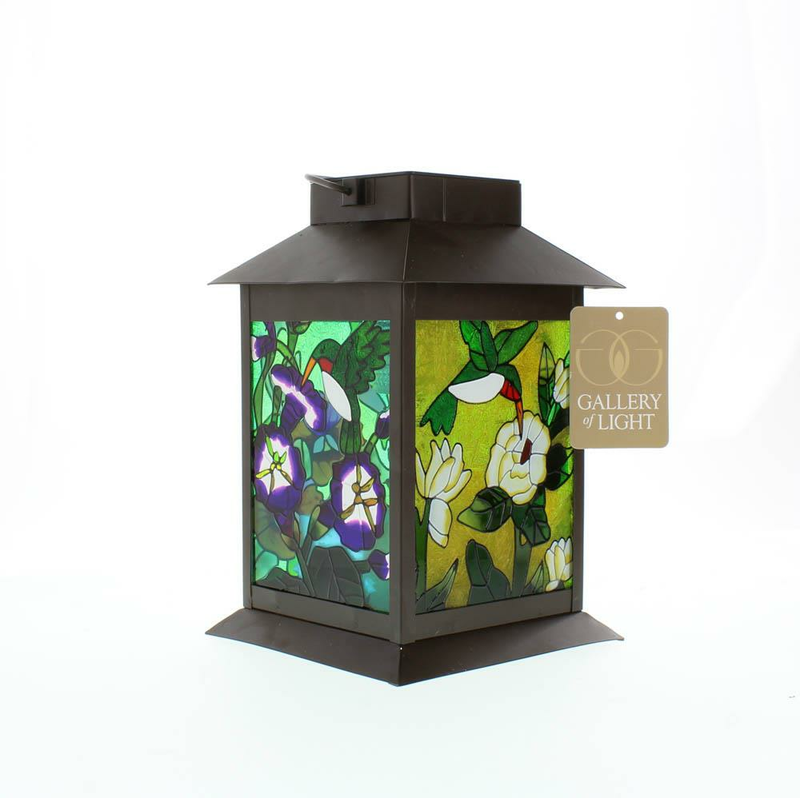 When lit from within, the stained glass panels of this stylish lantern come alive with jewel-like colors, turning captured sunlight into a mesmerizing display. 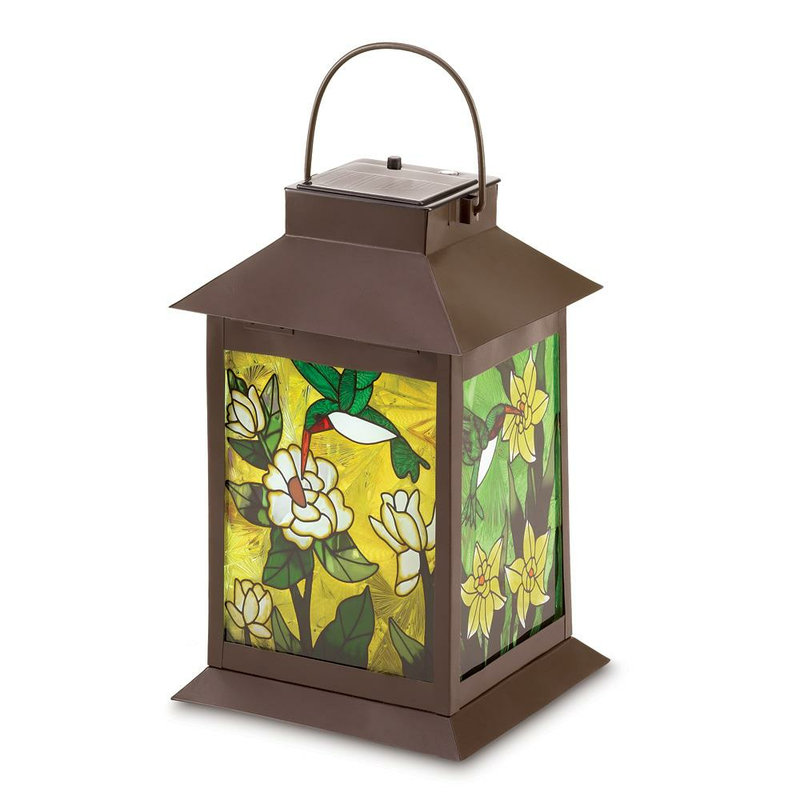 No candles or electricity required; solar-power cells in the lid recharge automatically when outdoors! 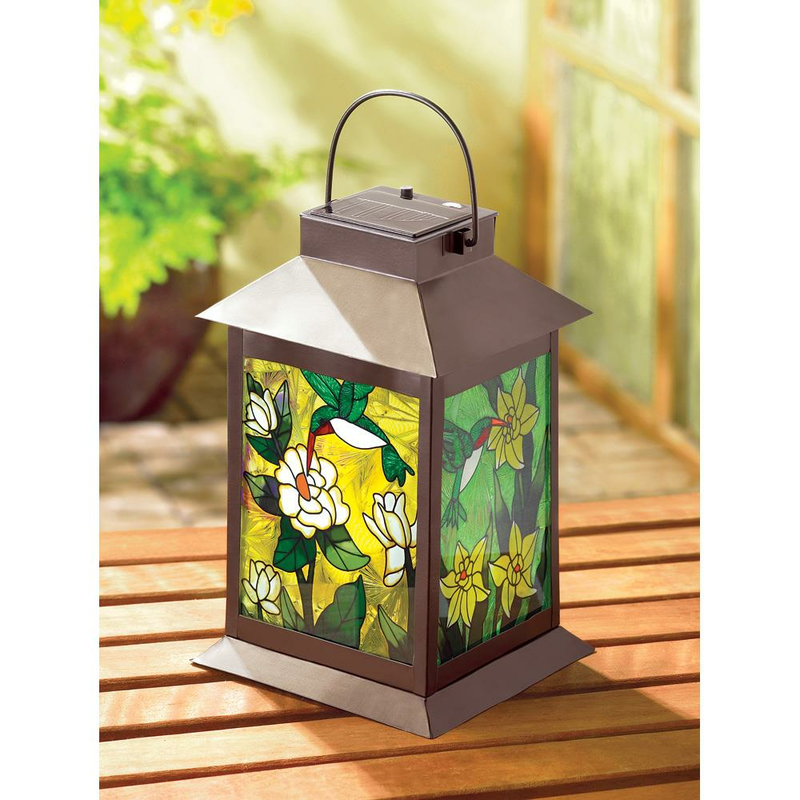 Metal with glass panels and solar board. 6" square x 11 3/4" high. UPC: 849179012304.